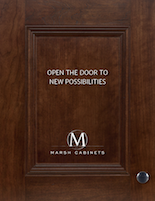 We are announcing a big product launch (possibly the biggest in Marsh Furniture’s history) this coming Monday, February 29th. Look for updates to our website in the coming days. In the meantime, check out our product launch brochure. The post Spring 2016 Product Launch appeared first on Marsh Furniture.